Feel free to contact 24x7. A Complete Amritsar Dalhousie Taxi Tour Itinerary. Pick-Up from Amritsar Railway Station / Airport and proceed to Dalhousie; Arrive at Dalhousie and Check-In to the Hotel. After some rest you can Visit St. Johns Church This Church situated on the Gandhi Chowk and St. Francis Church This Catholic Church situated on the Subhash Chowk. Panjpulla It means five bridges. It is a picturesque spot with water flowing under the five small bridges. And many more places to visit at Dalhousie i.e. Subhash Chowk, Subash Bowli, Satdhara Falls and Dalhousie Mall Road; Overnight Stay at Dalhousie..
A Complete Amritsar Dalhousie Khajjiar Taxi Tour Itinerary. Arrive and Pick-Up from Amritsar Railway Station / Airport and Proceed to Amritsar Hotel and Check-In to the Hotel, After some rest you can visit: - Harmandir Sahib (Sri Harmandir Sahib, also Sri Darbar Sahib and informally referred to as the "Golden Temple") and Wagah border ceremony (The Beating Retreat ceremony at Wagah border). In the late evening back to the Hotel and Overnight Stay at Amritsar Hotel. Check-Out from Amritsar Hotel and proceed to visit Amritsar Sightseeing`s: - Jallianwala Bagh (Jallianwala Bagh is a public garden in Amritsar in the Punjab state. ), Durgiana Temple (The Durgiana Temple, also known as Lakshmi Narayan Temple), Akal Takht (The Akal Takht is one of five takhts of the Sikh religion.) and Maharaja Ranjit Singh Museum. Further proceed to Dalhousie; Arrive and check-in to the Dalhousie Hotel; Overnight Stay at Dalhousie Hotel. 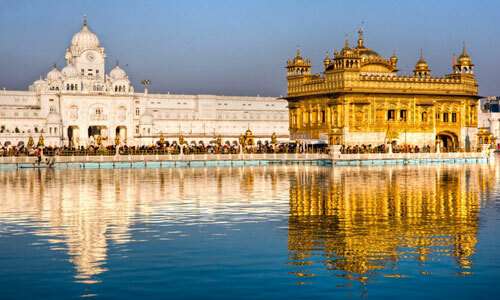 A Complete Amritsar Dalhousie Dharamshala Amritsar Taxi Tour Itinerary. in Amritsar, Jallian Wala Bag, Golden Temple, Wagha Border, Durgiana Mata Temple & Local Market Sightseeing ~ Overnight stay at Amritsar. on the way Kangra Devi Temple, Kangra Fort, Kangra Market, Cricket Stadium, War Memorial & Local Market Sightseeing ~ Overnight stay at Dharamshala. Dal Lake, Dalai Lama Complex, Bhagsu Waterfall, Bhagsu Nath Temple, Namgyal Monastery, St. Johns Church, Mcleodganj, Kunal Pathri, Kangra Valley, Kotwali Bazaar & Local Market Sightseeing ~ Overnight stay at Dharamshala. 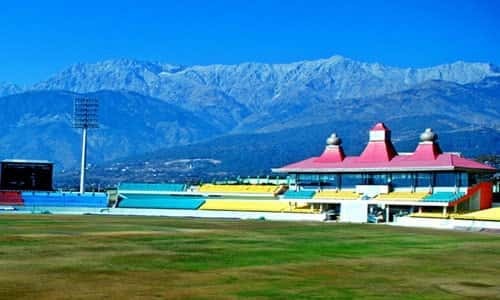 A Complete Amritsar Dalhousie Khajjiar Dharamshala Taxi Tour Itinerary. Arrive and Pick-Up from Amritsar Railway Station | Airport and Proceed to Amritsar Hotel and Check-In to the Hotel, after some rest you can visit: - Harmandir Sahib (Sri Harmandir Sahib, also called Sri Darbar Sahib and informally referred to as the "Golden Temple") and Wagah Border Ceremony (The Beating Retreat ceremony at Wagah Border). In the late evening back to the Amritsar Hotel and Overnight Stay at Amritsar Hotel. Check-Out from Amritsar Hotel and proceed to visit Amritsar Sightseeing`s: - Jallianwala Bagh (Jallianwala Bagh is a public garden in Amritsar in the Punjab state. ), Durgiana Temple (The Durgiana Temple, also known as Lakshmi Narayan Temple), Akal Takht (The Akal Takht is one of five takhts of the Sikh religion.) and Maharaja Ranjit Singh Museum. Further proceed to Dalhousie; Arrive and check-in to the Dalhousie Hotel; Overnight Stay at Dalhousie. Pickup from the Dalhousie Hotel and Proceed to Khajjiar and Kalatop Sightseeing: - Khajjiar (Mini Switzerland of India) and also called Khajji Nag Temple. 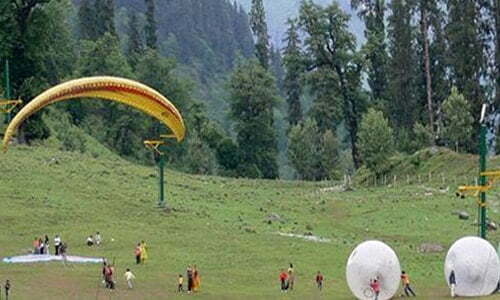 Kalatop Khajjiar Sanctuary is an altitude of 1185 to 2768 meters. Dainkund is an altitude of 2745 meters. On a clear day this tall peak affords a bird's eye-view of the hills and Dainkund Peak which is situated in Lakkar Mandi and later back to hotel; overnight stay at Dalhousie. Check-Out from Dalhousie Hotel and proceed to Dharamshala after visiting Dalhousie Local Sightseeing`s: - St. Johns Church This Church situated on the Gandhi Chowk and St. Francis Church This Catholic Church situated on the Subhash Chowk Dalhousie. Panjpulla It means five bridges. It is a picturesque spot with water flowing under the five small bridges. And many more places to visit at Dalhousie i.e. Subhash Chowk, Subhash Bowli, Satdhara Falls and Dalhousie Mall Road. And further Proceed to Dharamshala and Check-In to the Dharamshala Hotel; overnight stay at Dharamshala. Dharamshala is a city in the Indian state of Himachal, Surrounded by cedar forests on the edge of the Himalayas. Mcleodganj is a town of Dharamshala in kangra distt of Himachal. It is known as "Little Lhasa". Visit Full Day Sightseeing of Dharamshala and Mcleodganj: - Tibetan Institute of Performing Arts, Mcleodganj, Norbulingka Institute, Dalai Lama Temple, Naddi, Dal Lake, Churches, Tibetan Monistries, Bhagsunag River Fall, HPCA Cricket Stadium, Dharamkot and Local Market of Mcleodganj; Overnight stay at Dharamshala. Palampur Tea Garden and Temples: - Palampur is a green hill station in the Kangra Valley, surrounded by Tea Gardens and Pine Forests before they merge with the Dhauladhar Range, Chamunda Mata Temple, Baijnath Temple and Mahakal Shiv Temple.And in the Evening back to the Dharamshala Hotel and Overnight stay at Dharamshala. A Complete Amritsar Dalhousie Dharamshala Manali Chandigarh Taxi Tour Itinerary. Pick-Up from Amritsar Railway Station / Airport and proceed to Dalhousie; Arrive at Dalhousie and Check-In to the Hotel. After some rest you can Visit St. Johns Church This Church situated on the Gandhi Chowk and St. Francis Church This Catholic Church situated on the Subhash Chowk. Panjpulla It means five bridges. It is a picturesque spot with water flowing under the five small bridges. And many more places to visit at Dalhousie i.e. Subhash Chowk, Subash Bowli, Satdhara Falls and Dalhousie Mall Road; Overnight Stay at Dalhousie. Check-Out from Dalhousie Hotel and Proceed to Visit Khajjiar, Dainkund and Kalatop Sightseeing`s: - Khajjiar (Mini Switzerland of India) and also called Khajji Nag Temple. 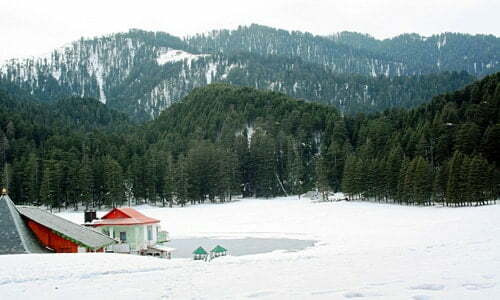 Kalatop Khajjiar Sanctuary is an altitude of 1185 to 2768 meters. Dainkund is an altitude of 2745 meters. On a clear day this tall peak affords a bird's eye-view of the hills and Dainkund Peak which is situated in Lakkar Mandi And further Proceed to Dharamshala and Check-In to the Dharamshala Hotel; Overnight stay at Dharamshala. Dharamshala is a city in the Indian state of Himachal, Surrounded by cedar forests on the edge of the Himalayas. Mcleodganj is a town of Dharamshala in kangra distt of Himachal. It is known as "Little Lhasa". Visit Full Day Sightseeing of Dharamshala and Mcleodganj: - Kunal Pathri Mata Mandir, Tibetan Institute of Performing Arts, Mcleodganj, Norbulingka Institute, Dalai Lama Temple, Naddi, Dal Lake, Churches, Tibetan Monistries, Bhagsunag River Fall, HPCA Cricket Stadium, Dharamkot and Local Market of Mcleodganj; Overnight stay at Dharamshala. 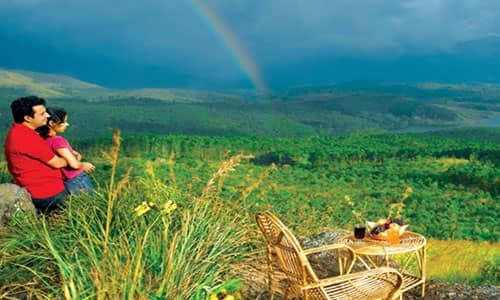 Check-Out from Dharamshala Hotel and Proceed to Manali En-Route you can Visit Palampur Tea Garden and Temples: - Palampur is a green hill station in the Kangra Valley, surrounded by Tea Gardens and Pine Forests before they merge with the Dhauladhar Range, Chamunda Mata Temple and Baijnath Temple. And further proceed to Manali, on arrival at Manali, Check-In to the Manali Hotel; Overnight stay at Manali. Proceed to Rohtang-Pass | Solang Valley Sightseeing`s. Rohtang Pass is a high mountain pass on the eastern Pir-Panjal Range of the Himalayas around 51 kilometers from Manali Main. It connects the Kullu Valley with the Lahaul and Spiti Valleys of Himachal. Solang Valley is one of the most picturesque Tourist Attractions near Manali and around 15 kilometers from Manali Main. A Complete Amritsar Dalhousie Dharamshala Manali Shimla Chandigarh Taxi Tour Itinerary. in Dharamshala, Dal Lake, Dalai Lama Complex, Bhagsu Waterfall, Cricket Stadium, War Memorial & Local Market Sightseeing ~ Overnight stay at Dharamshala. Hadimba Devi Temple, Manu Temple, Vashisth Village, Hot Springs, Club House, Van Vihar, Buddhist Monastery, Mall Road & Local Market Sightseeing ~ Overnight stay at Manali. Jogini Waterfall, Nehru Kund, Solang Valley, Kothi, Gulaba & Snow View Point Sightseeing ~ Overnight stay at Manali. Advance Study, Green Valley, Charabda Valley, Mahasu Peak, Chinni Banglow, Kufri, Nature Park, Indira Tourist Park, Fun World, Jakhoo Temple & Local Market Sightseeing ~ Overnight stay at Shimla. Amritsar Car Rental, Amritsar Dalhousie Taxi, Amritsar Dharamshala Taxi, Amritsar Dalhousie Dharamshala Taxi, Amritsar Shimla Manali Taxi, Amritsar Dalhousie Dharamshala Manali Shimla Taxi, Amritsar to Dalhousie Taxi, Amritsar to Dharamshala Taxi, Amritsar to Dalhousie Dharamshala Taxi, Amritsar to Shimla Manali Taxi, Amritsar to Dalhousie Car Rental, Amritsar to Dharamshala Car Rental, Amritsar to Dalhousie Dharamshala Car Rental, Amritsar to Shimla Manali Car Rental, Taxi from Amritsar to Dalhousie, Taxi from Amritsar to Dharamshala, Taxi from Amritsar to Dalhousie Dharamshala, Amritsar Taxi, Taxi for Dalhousie Dharamshala, Taxi for Shimla Manali, Taxi for Dalhousie Tour, Taxi for Dharamshala Tour, Taxi for Dalhousie Dharamshala Tour, Taxi for Dalhousie Dharamshala Manali Shimla Tour, Car rental in Amritsar, Taxis in Amritsar, Dalhousie tour package, Dalhousie Dharamshala tour package, Dalhousie Dharamshala Manali Shimla tour package, Amritsar to Dalhousie taxi, Amritsar to Dharamshala taxi, Amritsar to Dalhousie Dharamshala taxi, Car rental in Amritsar for trip to Dalhousie, Car rental in Amritsar for trip to Dharamshala, Car rental in Amritsar for trip to Dalhousie Dharamshala, Car rental in Amritsar for trip to Dalhousie Dharamshala Manali Shimla, Amritsar taxi tour packages, Pick up & Drop service to and fro Amritsar Railway Station, Pick up & Drop service to and fro Amritsar Airport, Pick up & Drop service to and fro Amritsar, Taxi for Himachal Tour from Amritsar.